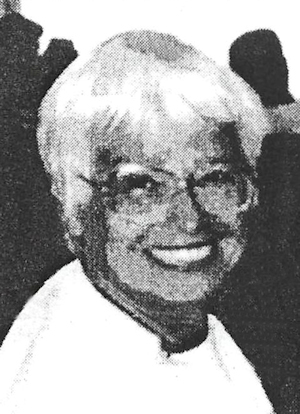 Obituary – Hopper-White, Clarice Marian (Warren) « Perry High School Alumni Association, Inc.
﻿Football Queen 46-47, Annual Queen Attendant 46-47, Band 45-47, Junior Play 46-47, Y-Teens 46-48, Annual Staff 46-48, Student Director of Annual Follies 46-47. Marian White, 65, relative of local residents, died Wednesday, Feb. 5, 1997, at Lincoln County Meical Center in Ruidoso, NM. Anangements are under direction of LaGrone Funeral Chapel of Ruidoso. She was born in Enid on March 6, 1931, the daughter of L.A.”Bud” and Reba Warren. 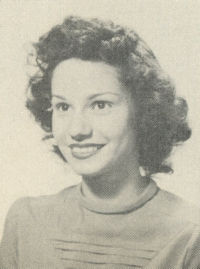 She graduated from Perry high school in 1948 and was married briefly to James Hopper. She moved to California and attended Pepperdine university. In 1951, she and John A. White were married. They lived in Coeur D’ Alene, ID, and Tucson, AZ, before moving to Ruidoso in 1976. Before retirement, she was employed as a Tucson schools secretary. She was a member of the Lincoln County Democrat party. Her husband died in 1992. She was reunited with James Hopper after they met at a high school reunion. Survivors include James Hopper, of the home; one daughter, Jana White Schlansker, and two grandsons, Steven and Jeffery Schlansker, of Los Altos, CA; her mother, Reba Warren, a brother, George Warren, and a sister, Shirley Williams, all of Perry. Other Perry relatives include a nephew. Jay Williams, a niece. Sue Stahl, and their children, Justin and Jason Williams, Caress Reaves and Becca Stahl.